Native to India, Neem is widely planted and naturalized in semiarid areas throughout Asia and Africa. Neem is an evergreen of the tropics and sub-tropics. Neem is a medium sized to large tree characterized by its short straight trunk, furrowed dark brown to gray bark and dense rounded crowns of pinnate leaves. Neem is nature's answer for protection against the degenerative effects of a modern polluted environment. The Neem tree has been known as the wonder tree for centuries in the Indian subcontinent. It has become important in the global context today because it offers answers to the major concerns facing mankind. Aroma : Rich, Earthy and Green musty smell. Chemical constituents:: Neem oil has various chemical compounds that include Margosic Acid, Nimbin,Nimbidin, Nimbinin, Kaempeerol, Azadirone, Quercursertin, B - Sitosterol, Praisine,Vanilic Acid, Nimbicetin and Meliacins. It may inhibit the development of viruses and prevent them from entering and infecting cells. Neem appears to be an appropriate herbal remedy for numerous skin disorders. It is rich in fatty acids and glycerides and together with its healing properties provides an excellent natural moisturizing base for skin care formulations. It is a very lubricating and penetrating oil and is considered a supremely "healing" oil, useful for painful joints and muscles. It has a very beneficial effect on clearing up scalp conditions and dandruff and is also used to promote healing of wounds. It is one of the most widely used ayurvedic herbs and is used to detoxify the body. A new and recent development is to use it for treating diabetes. It has been used to treat malaria, tuberculosis, arthritis, intestinal worms as well as to treat skin disease. Some cases of dry psoriasis as well as fungal infections have shown a good response when treated with neem oil. It is also helpful in treating hemorrhoids. Neem oil is mildly antiseptic when applied externally. Neem oil can also suffocate mites, whiteflies, aphids and other types of soft bodied insects on contact. Neem is a herbal remedy for the medication of fever, gastrointestinal disease, skin disorders, respiratory disease, intestinal parasites, immune system disorder and yeast infections in pets. All parts of the tree possess medicinal properties. The leaves are useful in relieving flatulence, promoting the removal of catarrhal matter and phlegm from the bronchial tubes, and in increasing secretion and discharge of urine. They also act as an insecticide. The bark is a bitter tonic and stimulant. It arrests secretions and bleeding besides counter-acting any spasmodic disorders. The root bark has the same properties as the bark of the trunk. The gum discharged by the stem is a stimulant and tonic with a soothing effect on the skin and mucous membranes. Neem fights against the bacteria and reduces the excessive perspiration and bad odour. It is used for domestic purpose also. It cleanses the skin and improves the complexion. It is effective against the pimples and black spots on face. Neem appears to be an appropriate herbal remedy for numerous skin disorders. The anti inflammatory and pain relieving activity of neem make it potentially useful for pet medication against scalp psoriasis also. Neem is now becoming a popular beauty aid. Some companies are now using neem products (neem oil and leaves) for production of cosmetics like facial creams, nail polishes, nail oils, shampoos, conditioners etc. The bitter leaves are used as a pot-herb being made into soup or curry with other vegetables. The slightly aromatic and bitter taste which neem impart to the curries thus prepared, is much relished by some. The leaves are moreover an old and popular remedy for skin diseases. 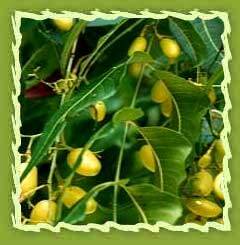 The fruits are described as purgative and emollient and useful in intestinal worms, urinary diseases and ulcers. Bark: Neem bark contains tannins which are used in tanning, dyeing, etc. Compounds extracted from neem bark are used in production of some dental - care products. Neem bark is also tapped for gum. Seed: Neem seed pulp is useful for methane gas production. It is also useful as carbohydrate rich base for other industrial fermentations. Neem Leaves: Neem leaves are not only useful for pest and disease control, they are also fed to livestock mixed with other fodder. Neem leaves are used in some parts of India as fertilizer in rice fields. In some countries, neem leaves are used as mulch in tobacco and tomato fields. Neem leaves are spread over the plant roots to retain moisture, kill weeds etc. Neem leaves can also be used to protect stored woolen and silk clothes from insects also. Neem Oil: Neem oil contains several compounds which have proven medicinal and agricultural uses of high value. The most common use of neem oil is for soap production. This indicates vast scope for expanding neem oil production. Medicated soaps with neem's odour are also produced on a commercial scale. Neem soaps are now widely available in several countries and are gaining popularity. Neem toothpaste is another commercial item which is widely available in India as well as several European countries. Neem is being used in other oral hygiene preparations also. Neem cake has multiple uses. 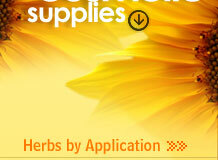 It has varied uses as livestock feed, fertilizer and natural pesticide. It not only provides nitrogen but also inhibits the nitrification process, when mixed with urea, before applying in the field. The use of neem coated urea (90:10) can save about 30% of the total chemical nitrogen requirement of crops, which otherwise would go waste and help in reduction the cost of agricultural production. Neem cake is widely used in India as fertilizer for sugarcane, vegetable and other cash crops. Neem cake also acts as a pesticide.